One of the big things I want to do when writing is be truthful with my successes and my failures. I think people generally highlight their successes and gloss over their failures. Reading some blogs online make things seem all to easy, which can be discouraging to the amateur. I am that amateur. When doing something for the first time, you are bound to make mistakes, which can often be embarrassing, expensive, and time-consuming. With some research and brainstorming you can avoid some of these pitfalls. Some of them. I want this blog to be that kind of resource for any like-minded frugal yankee-ingenuist, so I highlight my failures here in the hopes that the next guy may learn, and won't repeat them. 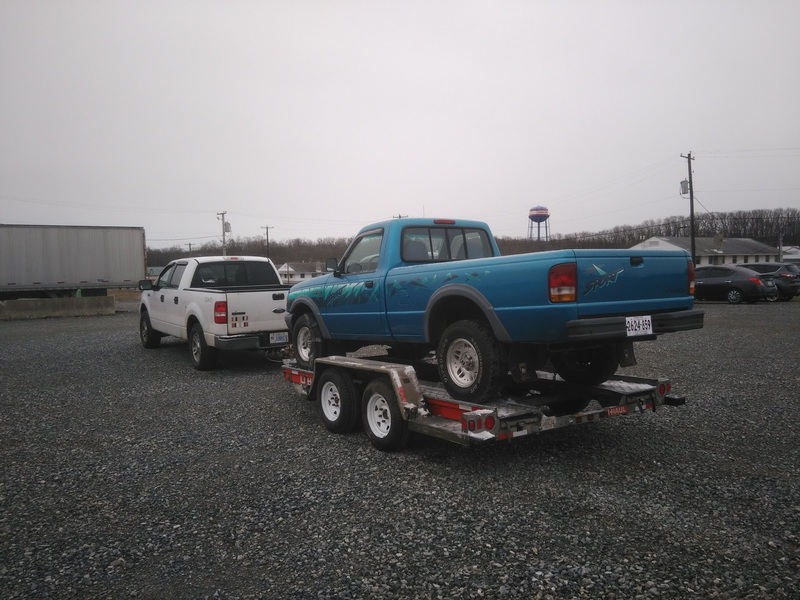 Buying a "new" used truck became one of these learning experiences. 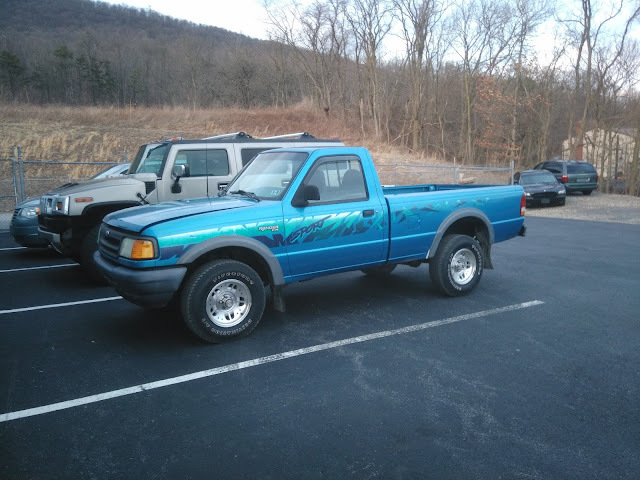 During this last school in Pennsylvania, I found a Ranger on craigslist not too far away. It wasn't the fabled 2.3L 4-cylinder with manual transmission, four wheel drive, and long bed which I've been trying to find for nearly a year. They were made like that between 1994 and 1996, and up here in New England those pickups have long since returned to the Earth as rusted steel. This truck is a '94 with the slightly less fuel-efficient 3.0L V6 motor on a clean frame, with 50,000 miles on it. After looking over it and taking it out for a spin, I told the guy I'd take it. He was firm on his price, but we settled a bit lower than what he was asking. I had sworn off dealerships and new vehicles. I had made my last few vehicle purchases on craigslist as private sales. The guy selling the truck ran a good-sized used car lot... so it must be somewhere between a wallet-emptying car dealer and private sale, right? I got took. This truck has 150,000 miles on it, and the dealer knew it. I didn't save the craigslist ad. I can't prove it. I signed the title where they wrote out the actual mileage in blue pen on blue paper, while distracting me with idle conversation. I opened the owner's manual in the glovebox when I got it back to the Fort (thanks for the help, Jared!) and saw a note the last owner had written about brakes and tires being done at 103,000 miles. Ultimately, I still would have purchased the truck given the condition of the frame and body. It will easily last another 100,000 miles with some care. I thought I was getting something that was going to last 200,000 miles with some care. If the dealer had been honest, my initial offer would have been lower. I'm still frustrated with myself, and disappointed that I let my guard down. I'd be a horrible businessman. I wouldn't make any money. Ready for the slow trip home. My main inspiration for the Ranger was Mr. Money Mustache's blog post "What does your work truck say about you?" I really enjoyed his breakdown of vehicle cost per mile, and found that a Ranger costs a bit more than half as much as my F150 to operate. Moving forward, I want to try to do some of the vehicle modifications listed on the ecomodder website to improve fuel economy. I'd like to put a solar panel on top of a bed cap, and use it as a small stealth camper. 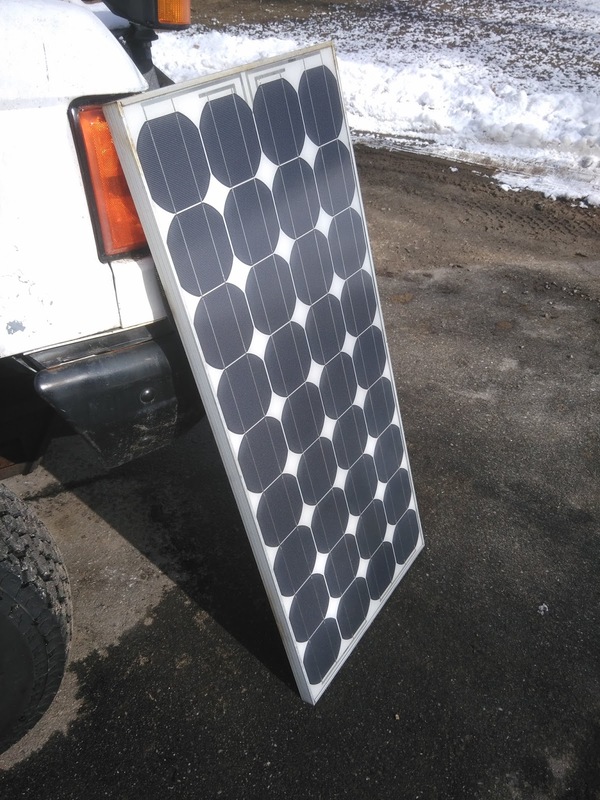 The Ranger will be the long-distance light-duty vehicle for trips between the North Country and work in southern NH. 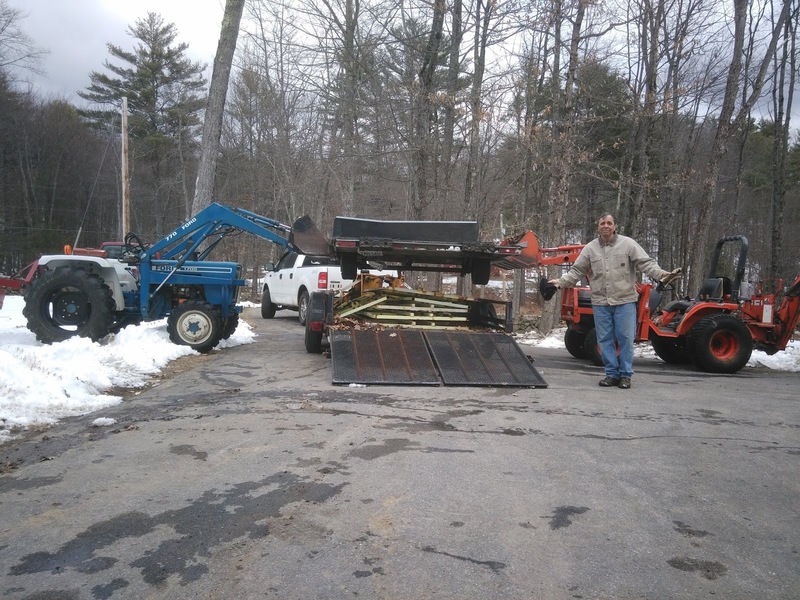 The F350, once repaired, will be the heavy-hauler for equipment and materials as I build, and the plow truck. I will also have the ability to run vehicles that burn different fuels, should fuel costs climb again. I don't expect the F150 to last much longer; the frame has started rusting, and there's too many circuit boards and design flaws. It has 172,000 miles on it, and has broken down on me twice this year. It isn't strong enough to pull equipment regularly without destroying the transmission, and it's too bad on gas to use as a commuter vehicle between the Northern and Southern ends of the state. I will run it into the ground and squeeze every penny out of it. Did I mention it was a manual? I don't actually know how to drive a manual. Jared, from my class in Pennsylvania, patiently let me stall it a dozen times as I got a feel for the clutch. Now I feel like a kid cruising around on a bicycle with no training wheels. Thanks again, Tennessee. Over the past few months I have been taking the solar panels purchased this winter off of their steel frames, and assessing their damage. Many had smashed glass, some had corrosion, and most have some kind of cosmetic blemish or tweaked frame. Almost all of them, including the smashed panels, are still perfectly usable in some way. 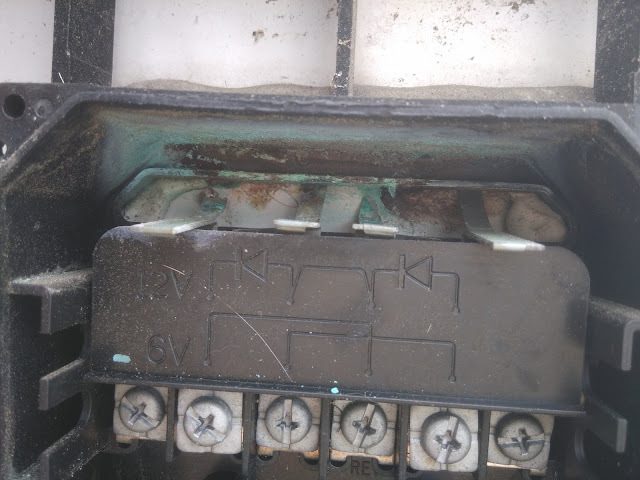 One rack must have been left in a salty puddle upside down, leading to their internal contacts at the junction box being completely eaten away by rust. 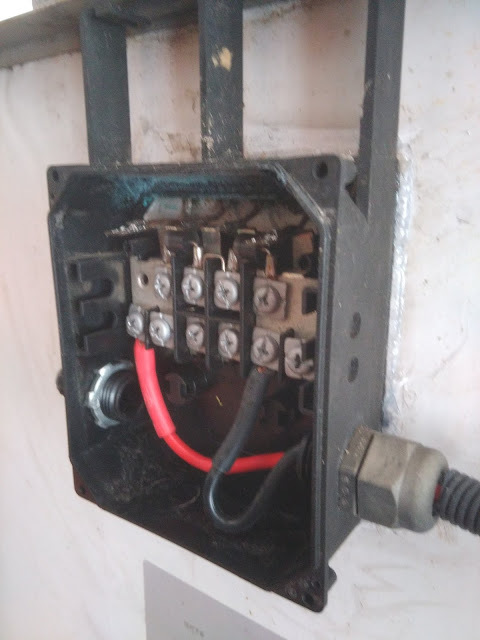 With no connection, these otherwise perfect panels couldn't produce any kind of power for me. Not wanting to let these panels go to waste, I took one of them apart to see how hard it would be to solder in new connections. 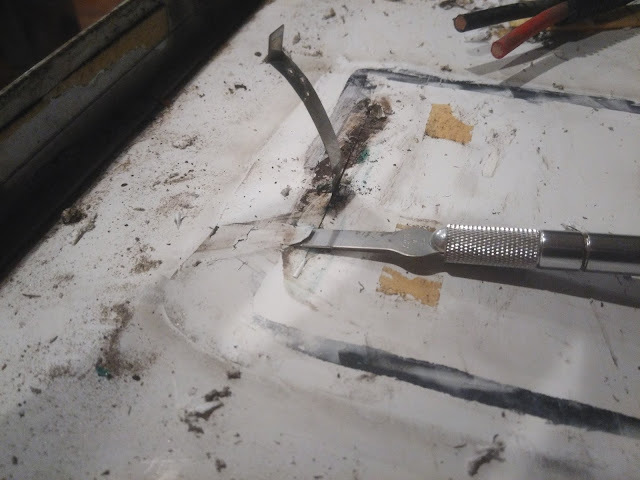 After some YouTube research, I found that the flat wire leads coming from the cells should have some material under the paper that I could potentially solder to... generally. The videos I saw online were for another kind of panel (these are 75W Siemens SP-75's.) I had nothing to lose and I was winging it. 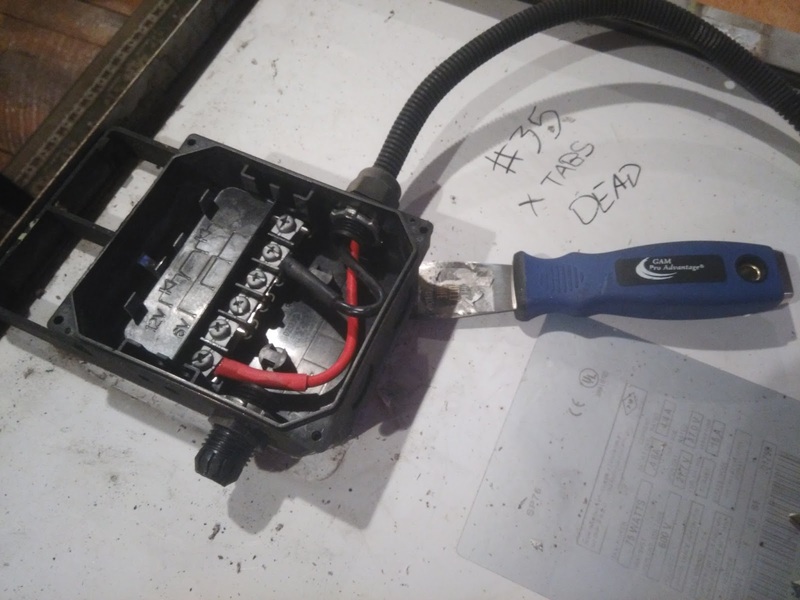 I used a very thin and sharp putty knife to score around the junction box, and pried it up. Sure enough, there was still material there. You can see my grease-pencil notes on the back of the panel; "#35, X TABS, DEAD." With a #11 X-acto (the regular pointy one) and a flat chisel tip, I carved away some of the paper backing, exposing more of the tabs. The one good one of the four I broke off for uniformity. They appear to have been tack welded to the junction box terminals. The welds break without too much force. 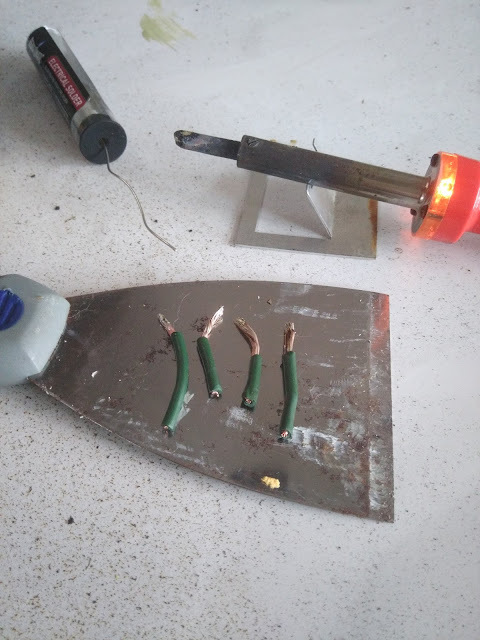 I cut some small strips of 12ga copper wire. 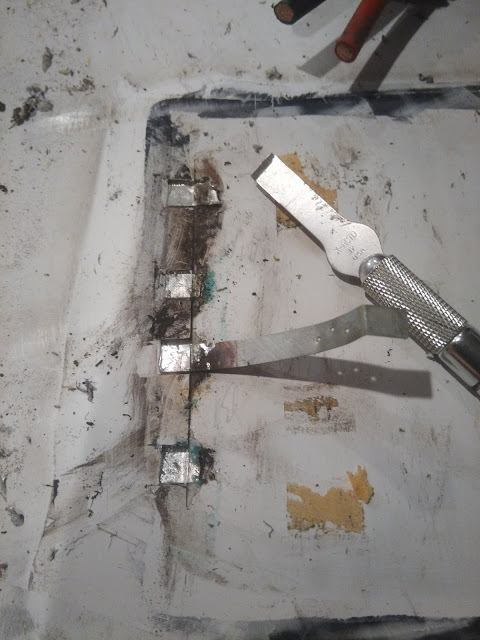 I pre-tinned each end with solder, and after a few attempts I was able to get them to stick to my freshly exposed tabs. I had to clean off a bunch of old adhesive in order to get the solder to bond to it. This was a slow, delicate process. 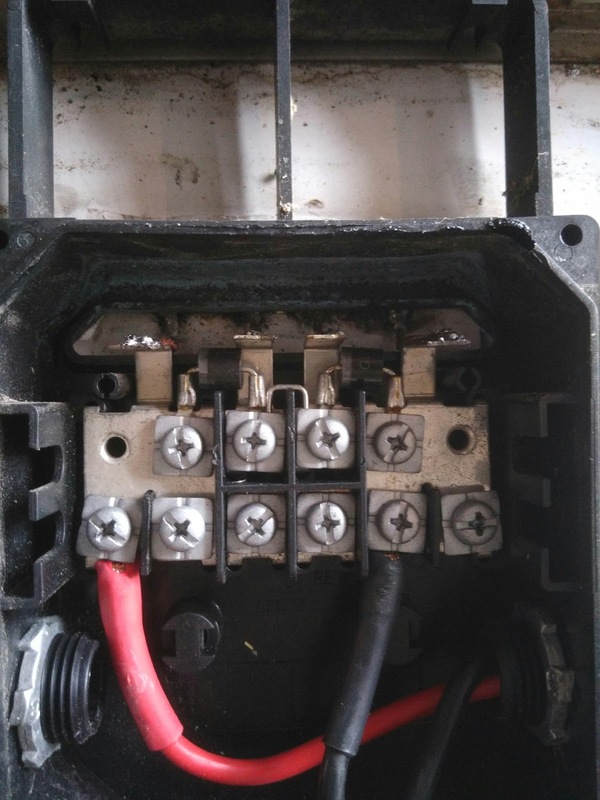 With my new wires installed, I slipped the junction box back on the panel, and soldered the wires to the junction box contacts (a little awkward in the tight space.) The loose junction box had enough play that I could reapply a line of silicon to hold it on, and keep it water tight. Checking it in sunlight outside on the multimeter, I measured 21.5V open-circuit, and better than 2 amps short-circuit. Not bad! Significantly better than 0.0V and 0.0A. One less solar panel in the land fill. I have another four of these dead panels to repair; good rainy day projects. The buckets both have an inch of purchase on the trailer's frame. My dad set the Kubota's parking brake, and I left my Ford in neutral while we slowly raised the trailer, so that our buckets would stay tight to the trailer as I gently rolled downhill. With the snowmobile trailer elevated, I backed the loaded trailer underneath, then we set the stricken snowmobile trailer down slowly. Next stop; the recycling center. Let's see how much we can get for a ton of old steel.